It is crafted from a blown glass vial filled with fragments of genuine meteorites. These are genuine meteorite samples and not just sand. 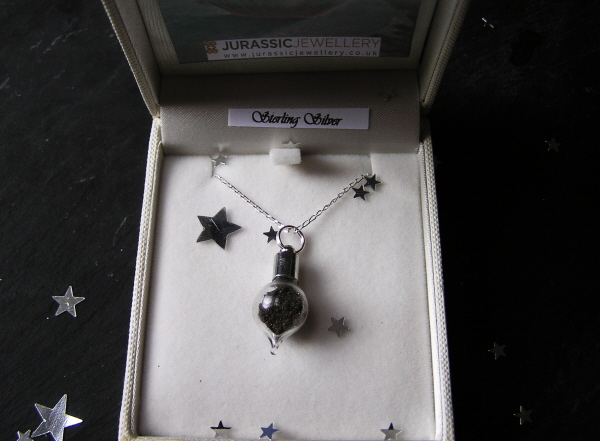 The meteorite sample is sealed forever in the vial and then strung on a solid silver 18 inch curb chain. It is beautifully presented in a high quality jewellery box and would surely make a fantastic gift for any fan of meteorites or astronomy.